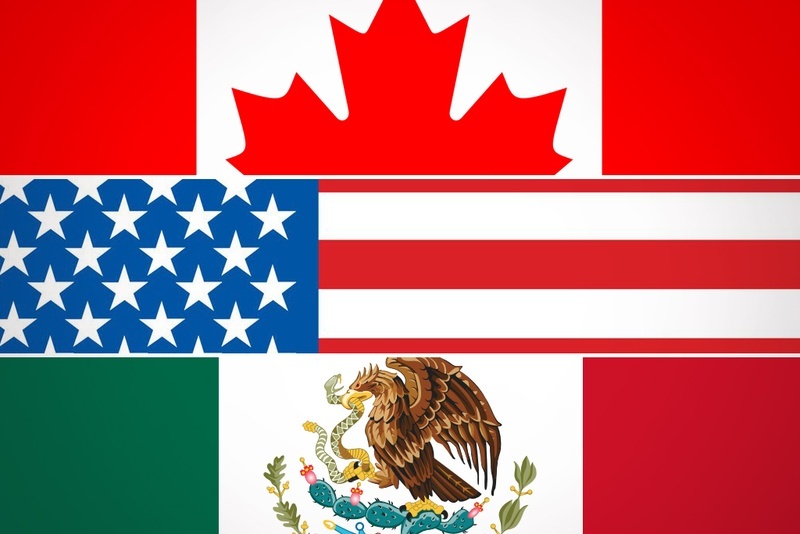 As the next key phase of discussions between the NAFTA participants takes place this week in Washington DC, there is much uncertainty about the outcome of these negotiations. Can negotiators agree upon a deal to update the twenty-three-year-old accord? Will President Trump consent to their terms if they do? Will what we now expect from anti-trade interests on both the left and right present a political force that no politician wants unleashed going into the important 2018 midterm election? All big questions that cause market uncertainty and pose great political headaches across our nation’s capital. And yet there I was just a little over two months ago in Providence, Rhode Island for the annual Summer Meeting of the National Governors Association – a forum attended by 47 chief executives of states representing every political stripe – listening to broad support for trade, especially that with Mexico and Canada. If you didn’t know better, you would have thought you had entered an alternate universe – or capital. The remarks of Canadian Prime Minister Justin Trudeau captured the sentiment in the room. He reminded the audience of the $627 billion in trade that the US and Canada engage in annually and the 9 million US workers whose jobs depend on that trade. But then, in a masterful stroke for emphasis, the Prime Minister listed the 21 states whose largest export market is Canada. The recital didn’t result in embarrassment for the registered, but envy by those not on the list and missing out. The applause and appreciation for trade was something I had not seen before – certainly not in the halls of Congress. Watching the Mexican delegation engage in warm, productive discussions with participants as disparate as Connecticut’s Dan Malloy and Wisconsin’s Scott Walker was truly refreshing. So why is it that governors and Members of Congress address NAFTA as if they are living in two separate worlds? Quite simply, governors need to balance budgets and provide for their people. Governors are more aware of the total impact trade has on their respective state’s economy and, in these trying times of shrinking budgets, cannot afford to grandstand and lose market share. They also see, first hand, how when real wage growth lags inflation, access to cheaper goods can make or break a working family. Earlier this year Democrats and Republicans came together in the DC metro region when Democratic Governor McAuliffe alongside Mayor Muriel Browser joined Maryland Republican Governor Hogan for a joint trade mission to Toronto. Trade in states has done the unthinkable, it has brought both parties together! The reception that Mexican and Canadian officials received also corroborates another, more salient fact: On balance winners from trade in America exceed the losers. Governors are largely a pro-trade block because they see a more balanced picture of trade. While each governor certainly confronts the displacement challenges that result from a factory loss they also see the on-balance benefits that trade supplies their economies more broadly. All too often Washington representatives only hear from the underdog in the trade discussion and confront well financed interests in opposition to it. NAFTA has certainly caused great strife to many of our fellow Americans over the past twenty-three years but it was signed at a time when the internet had yet to change the world and tweeting was still safely the domain of the bird. So, is walking away from this agreement better than amending and updating it to address the challenges of our day? If our nation’s governors were allowed a seat at the table the resounding answer would be no. Peter O’Keefe is a Partner at Forbes Tate Partners and formerly served as the Business Liaison in the Clinton White House.